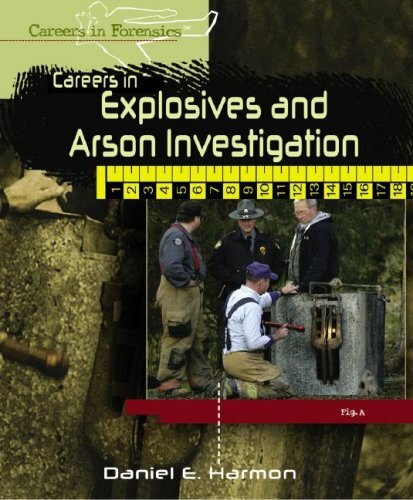 Combating Arson-for-Profit: Advanced Techniques for Investigators is a practical, step-by-step, how-to arson investigator's guide.It provides a model for structuring investigations with emphasis on planning, coordination, and scrupulous attention to records and details. 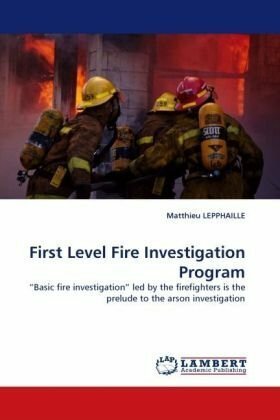 The authors tell how to conduct an investigation and how to collect and handle documentary evidence.They discuss advanced investigative techniques including flow-charting, link analysis, and computer-assisted investigations. 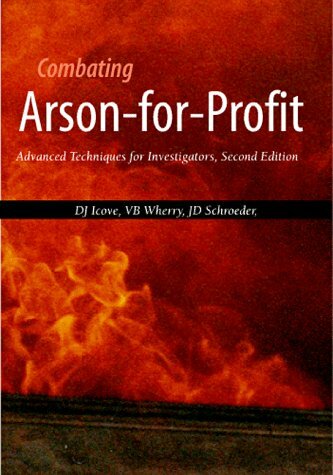 Combating Arson-for-Profit describes how to prepare and present a case when the investigation is completed and includes Anatomy of an Arson-for-Profit Investigation, a fictionalized case based on an actual federal prosecution. The book also includes a companion computer disk with forms, illustrations, and investigative flowchart. himynameischrisjcoombesandiamafirefighterandarsonisnotgoodincalifornia.arsonisabigcombatforfirefighters.iwishthateverearsonistknows howhardwefightthefire'stheydontwantustogetthembutwewillfightfirewithfire.. andtheywillseethatwe aregoingtogetthemandmack thempay. thankyouchrisj coombes..
An authoritative, easy-to-follow investigative resource. 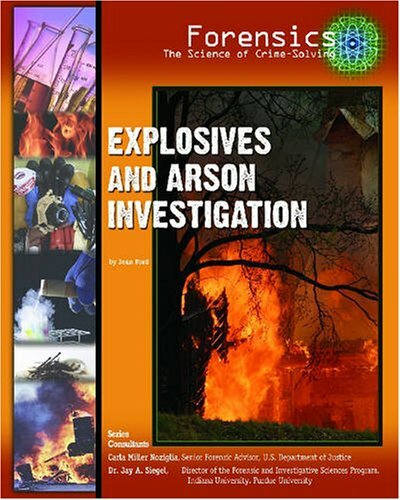 Combating Arson for Profit is a most welcome guide to the investigation offraud.As an insurance company S.I.U. 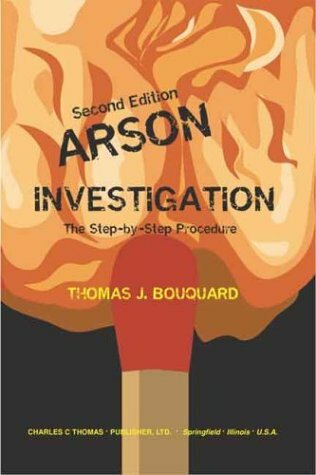 investigator, I recommend this toall those involved in these complex cases.The reader will discover how toconduct the "paper chase", document evidence, write professionalreports, and assure the most comprehensive case for court.Highlyrecommended! Having used the 1st edition for many years, I was most interested todiscover that the 2nd edition has been revised to include the latest intechnological innovations including computer modeling.An invaluablepublication! quiteinformative a must buy for the serious arson invest. This digital document is an article from The FBI Law Enforcement Bulletin, published by Federal Bureau of Investigation on April 1, 2005. The length of the article is 4262 words. The page length shown above is based on a typical 300-word page. The article is delivered in HTML format and is available in your Amazon.com Digital Locker immediately after purchase. You can view it with any web browser. 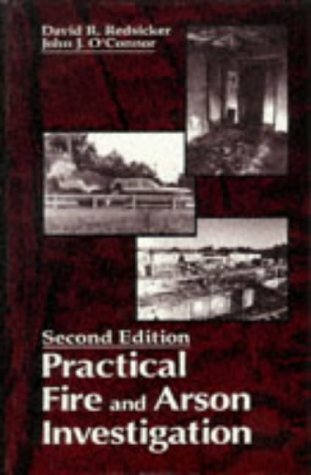 If you are a rank amateur and just want to get some really interesting facts and information based on 'model' fires that occurred in real life, this book is a great book to start with. 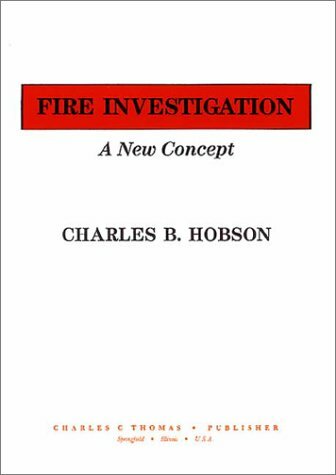 I purchased the book with an interest in just enough details to allow me to 'talk the language' in a book I am writing where an arson investigator is one of the characters. I think you'll find this book as fascinating as I did. 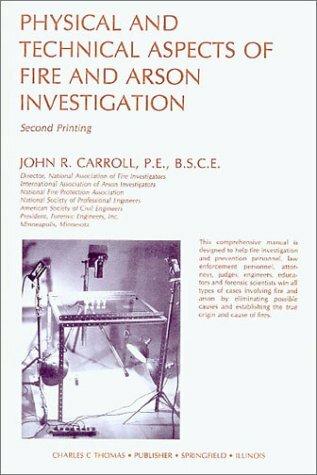 If you are already interested in fire fighting and arson investigation in particular, then you will find this book very interesting, with lots of real life stories. A novice however will find little excitement and too much in depth information to keep up interest. 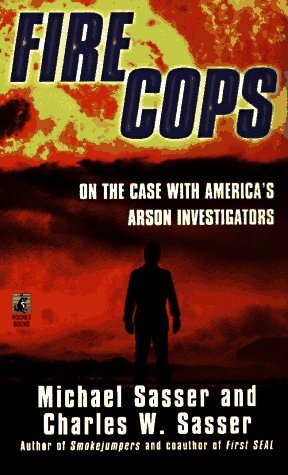 The stories are great and do justice to the field of fire investigation.What surprised me was the quality of the writing! Usually technical subjects do not attract talented authors. This is an undiscovered gem in the realm of literature. 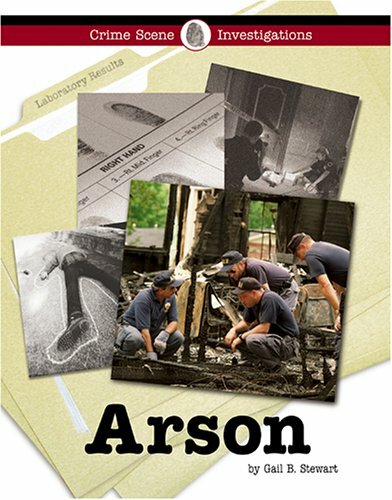 I have been in the fire service for over 30 years and the past 23 as an arson investigator in a large metropolitan city.The authors have taken the time in most cases to listen to the people actually doing the work on aday-to-day basis.They are to be commended for this.For the personhaving questions what this job is all about, this book will spell it out infrank detail.This is a subject that is interesting but all too oftenoverlooked by most writers. This book is outdated, wrong and dangerous. This "alpine Midnight in the Garden of Good and Evil" (Outside) and Denver Post bestseller explores an unsolved mystery and uncovers the dark underside of the new West. In October, 1998 an arson caused $12 million in damage at Vail, the country's largest ski area. A shadowy radical environmental group called the Earth Liberation Front claimed credit for what the FBI called the costliest act of ecoterrorism in U.S. history. But as it turns out, credible suspects were everywhere, since Vail was owned by a New York investment firm that had alienated a wide swath of Colorado's high country residents. "Who couldn't have done this?" wondered a local sheriff's investigator. More than a clever whodunit, Powder Burn scrapes away the glitz of America's premier ski destination to reveal a cautionary tale about runaway opulence and rapid change in the New West. As the Denver Post put it, "Vail is a microcosm of the disputes over growth raging across the Rockies, and Glick's take on the fire helps to fan the flames." The book is interesting as an unsolved mystery, but everyone cannot be as guilty as they sound.I struggled a bit with the writing, and did not like all of the vulgarity and profanity.It did not add anything to the book, except to make me feel like I was overhearing conversations in a cheap bar.It was also apparent from the start that Glick does not like rich people (some peoople might call them successful).He could hardly talk about them in a civil tone.He used phrases like "Outrageous luxury", and "Trophyest of trophy homes." 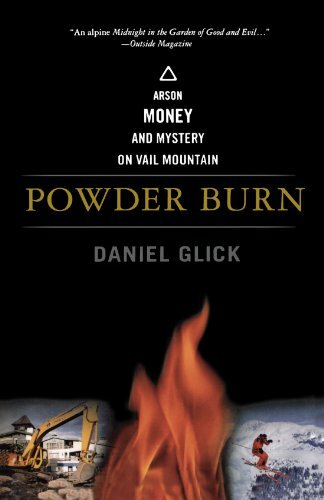 Powder Burn was a GREAT book that provided me with the information that i needed to know about the mystery of who tourched vail. I learned some stuff in my political geography class about this that is what got me interested in it and made me read it. I recommend it to all people who like mystery books with a small twist of history. Vail/Beaver Creek is probably my favorite vacation spot on earth in the summertime...about the only time of year I can afford it (and even then barely).This is a fascinating book, part history of Vail, part meditation on the issues surrounding growth in the affluent west (ie, how a resort for the rich and famous affects the locals and the environment), but largely a whodunnit surrounding the 1998 arson on Vail Mountain. I wouldn't go so far at to call this a "Rocky Mountain version of "Midnight in the Garden of Good and Evil' " - Glick's writing isn't that smooth and his character development isn't that deep.But I am fascinated by this part of the country and it's a good story that he has to work with.In the end he presents all the available evidence and lets you draw your own conclusions - probably the best way to end considering that the arson itself remains unsolved. My room mate asked me why it was taking so long to read this book, and my reply was that it was hard to stumble through Glick's clumsy writing. My interest, however, lay in my previous residency in CO and my interest in the subject, so I struggled through the chapters (many with very clever titles). I lived near Telluride for several years, and watched many of the same actions take place as did in Vail, re: the disparity of money and living conditions and in the attitudes of the haves and have-nots. Environmental issues are just one of the many issues in combat with residents and eco-groups against many of these new conglomerate ski companies, some with owners based far from operations. Glick does a great job with the interviews and investigation; but his long, run-on sentences left much to be desired. If I didn't have an interest in his viewpoint on the subject, I would have put the book down in the third chapter. If you want the gist of it all, just read the epilogue, which - IMO - contains the best information and most well-written part of the book. This, alone, is worth the money, as well as the information. I'll never drive past Vail again without remembering the issues and the personal stories in this book.